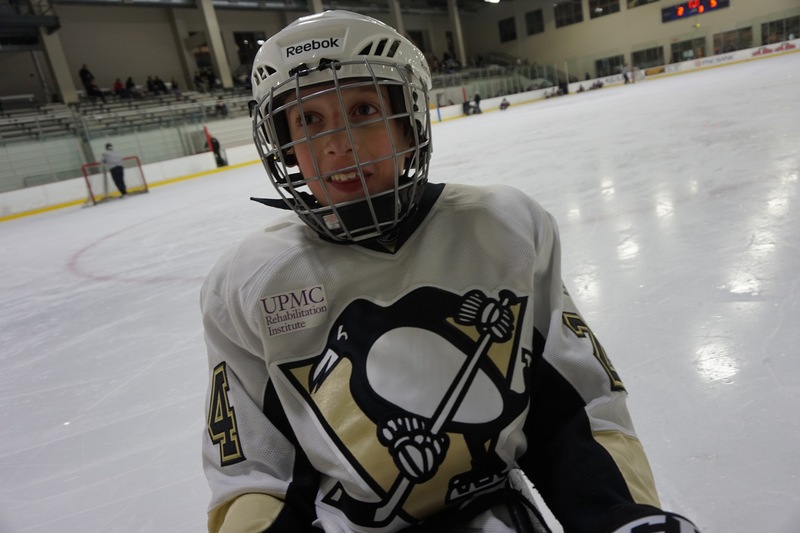 A few of our players bring you into the game action at the SPIDA Sled Hockey Tournament in Columbus, OH January 14-15. 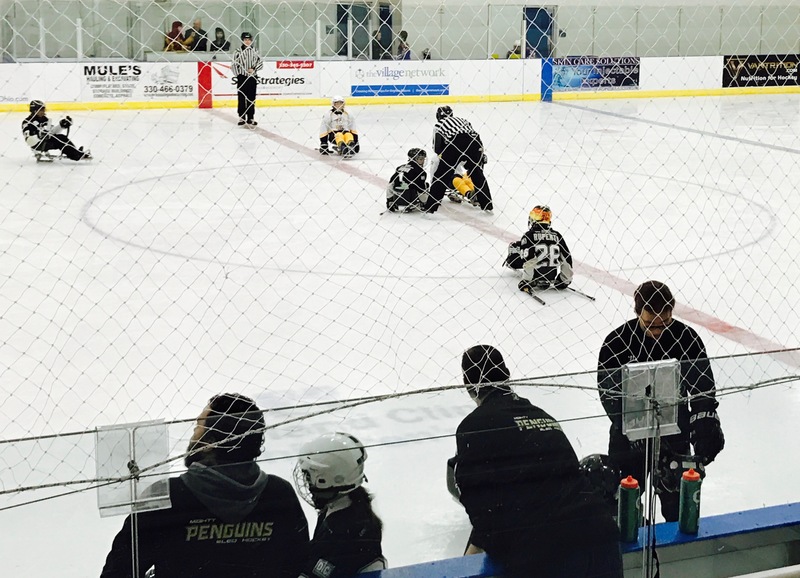 The Mighty Penguins entered two teams–first time ever (Go Black & Gold)! We continue to grow and develop our players now over 50 strong. Enjoy reading about the games through the eyes of our amazing players! My name is Ekow, and I am on the novice team with the awesome Mighty Penguins. Last weekend, I went to a sled hockey tournament in Columbus Ohio and it was amazing! I enjoyed every moment, not only because I got to spend more time with my coaches and teammates, but also because I stayed in a fun hotel with a pool and got to eat out with my family and friends. Who doesn’t like to eat out?! This was my very first tournament away from Pittsburgh since I am new to the team this year. It was also my first time playing defense because I was goalie for the last tournament. I don’t mind being goalie, but playing defense was much more fun. We played four games in all, against Nashville, Johnstown, Columbus and Cincinnati. We won 2 games and lost 2, but I felt our team kept getting stronger and stronger. My favorite game was the one against Nashville. They had a very strong team that made it to our side of the rink often. That meant I had lots of chances to defend our goal. It was a tough and exciting game, and the Cincinnati team played hard and fast. I really enjoyed negotiating my way through all those players, finding the puck and shooting it across the ice to the other side. Four minutes on the ice felt like 4 seconds! We ended up winning that game 2 to 1 but did not make it to the championship game. For me, this was an epic tournament. I had the best time in Columbus and I wish I could go back every single weekend. I have started begging my parents to take me to all the remaining tournaments. Thank you to our hosts in Columbus for being so nice and welcoming, and to my coaches and teammates for making hockey such a fun experience for me. See you at the next tournament! 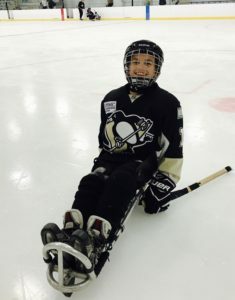 We just got back from a sled hockey tournament in Columbus, Ohio. It was really fun! 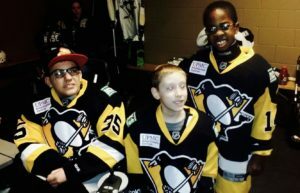 The Mighty Penguins sent two teams. They were called Pittsburgh Black and Pittsburgh Gold. I was on the Black team. On Friday, my dad and I drove 3 hours to get there. 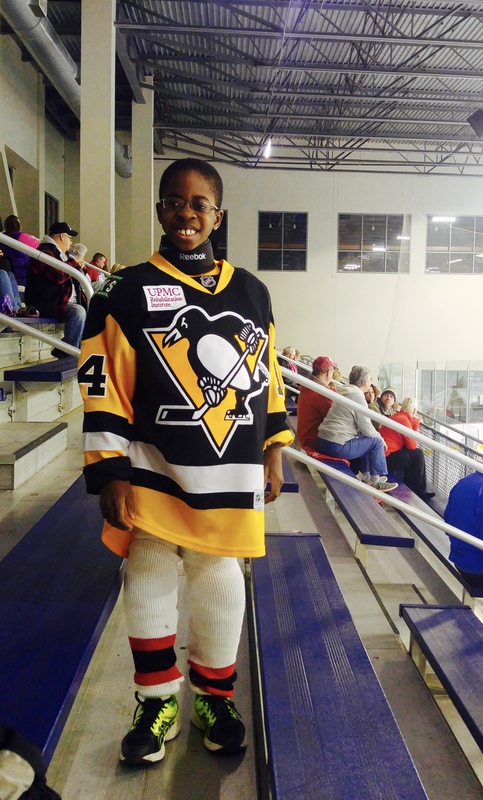 Our first game was on Saturday morning against the Nashville Sled Preds. They were really fast and hard-hitting. We lost, 4-1. I was disappointed to lose the game, but it made me feel a little better because I scored a goal. That was only my second goal ever in a game. Our second game was against the Johnstown Sitting Bulls, one of our rivals. It was an exciting game. We fell behind, 1-0, but then my teammate, Phoenix, scored to tie the game. Then James, Kristofer, and Phoenix scored to put us ahead, 4-1. Johnstown scored to cut into the lead, but then I scored again to make the final 5-2. Our third game was early on Sunday morning. 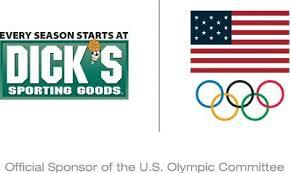 It was against the Columbus Blades. They were fast and communicated well on the ice. We went ahead early in the first period, but they came back and tied it before the break. Neither team scored in the second period. It was 1-1 starting the third period. Both teams played hard, but Columbus scored and then held on to win, 2-1. Our fourth game was versus the Cincinnati Ice Breakers. They had some big players, and their novice line was really good, but we won, 2-1. Phoenix scored both goals, and Abby had some great stops on defense, especially when Cincinnati had a power play. It was a great tournament. We finished with 2 wins and 2 losses. So did the Gold team. Our goalie, AJ, played for both teams. He did a great job. So did all of my other teammates, including our novices: James, Owen, Nathan, Ekow, and Callie. For some of them, it was their first away tournament. I can’t wait for our next tournament!